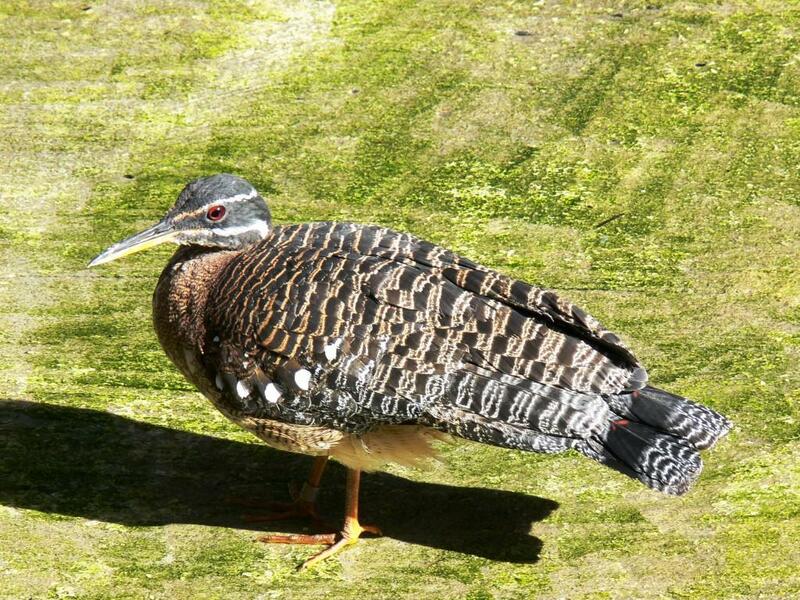 At Lowry Park Zoo recently, we observed a Sunbittern rearranging the area. The bird keeper came by and put it all back in. He said, it is a normal occurrence. To me, it reminds me of those of you who will be opening presents for Christmas. Invariably, some piece of a toy or something gets mixed in with all the discarded wrapping paper and the search begins. Merry Christmas. Bonus: A Bali Myna was singing away at the newly remodeled entry aviary. This is just as you enter the Main Aviary at Lowry. Today, Dan and I went to the Lowry Park Zoo in Tampa, Florida. I was thrilled to see some of the birds in person that I have been entering into the Birds of the World section. 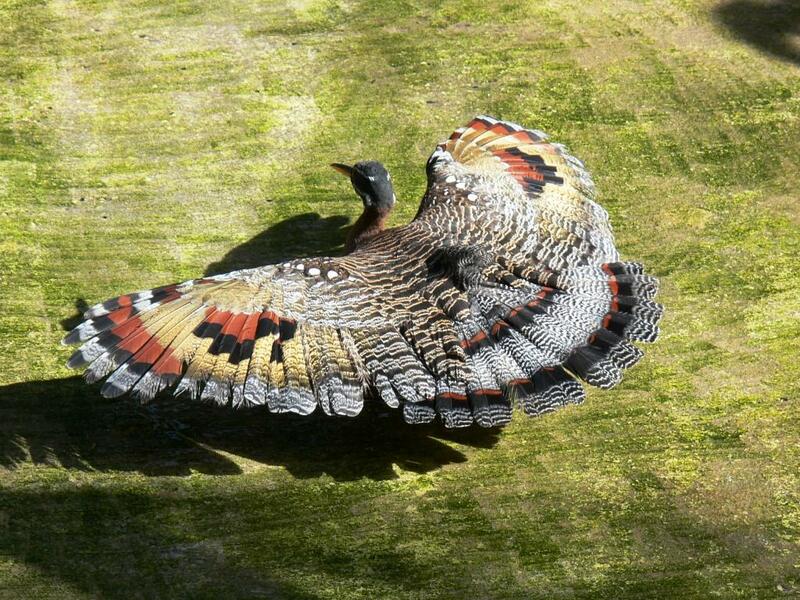 This Sunbittern caught my attention when he spread its wings out into the beautiful display shown below. I could not but think of the Lord’s magnificent creative power, details, and love that He gave His creatures. 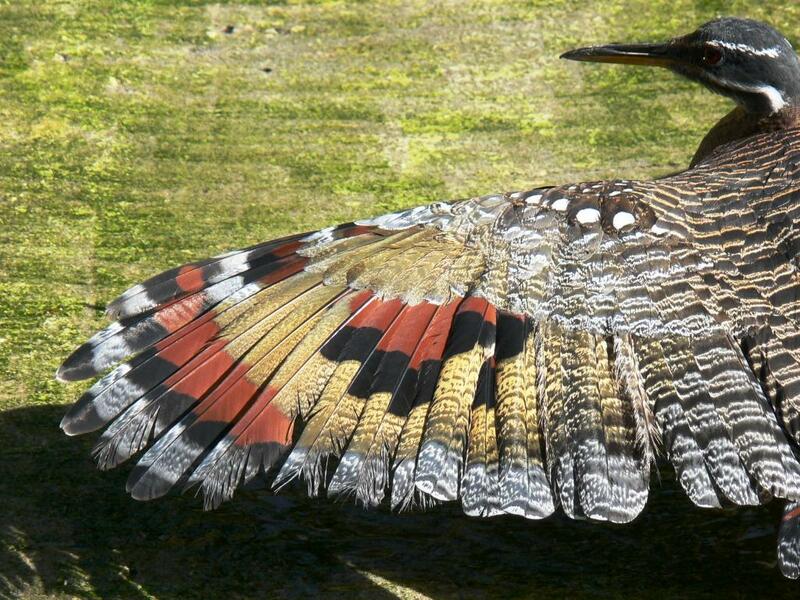 No, this bird is not specifically named in the Bible, but God’s Glory sure is. 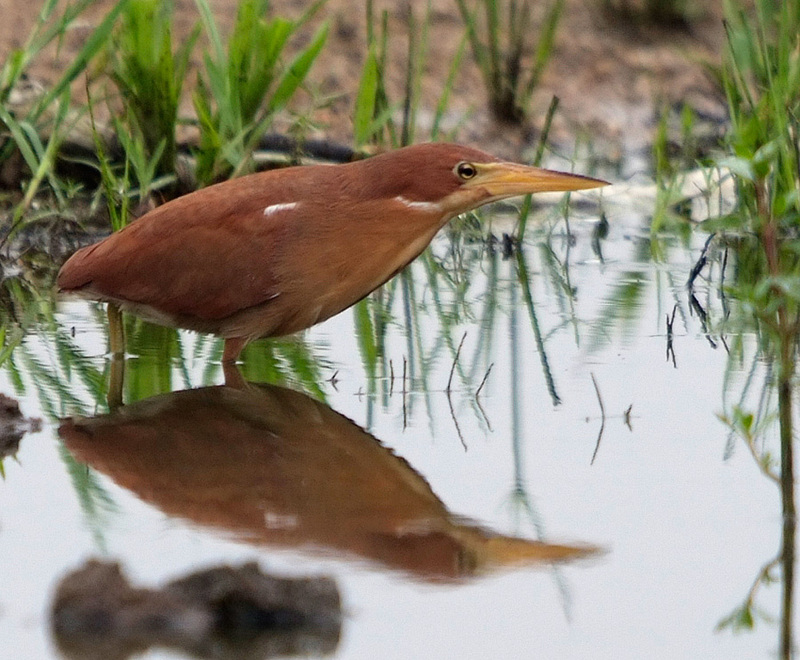 The Sunbittern is similar to a heron or bittern because it has a long straight pointed bill, long legs and a thin neck, but it is in the Eurypygidae family of the Eurypygiformes Order. Most likely they are of the same “kind”, but they like to separate them and then declare “convergent evolution” caused them to develop the “same but different.” They totally deny creation by our Creator God. They are 17-19 inches (43-48 cm) and have “soft, lax flight feathers, which account for the species being almost silent in flight.” (Bird the Definitive Guide, p.208) They make their nests with leaves, grass, mud and she usually lays 2 eggs. Both parents feed the chicks. “Remarkably, the young molt directly into adult plumage, while still in the nest, which is extremely unusual…” They leave in 3-4 weeks. The wings are spread for displaying (to win their sweetheart’s attention) or for defense (to make them look larger), but the Lord also lets them spread their wings so we can enjoy them and behold His Creative designs. All photos can be clicked-on to enlarge.